Carbide saw blade (48 teeth). Tool for saw blade change. 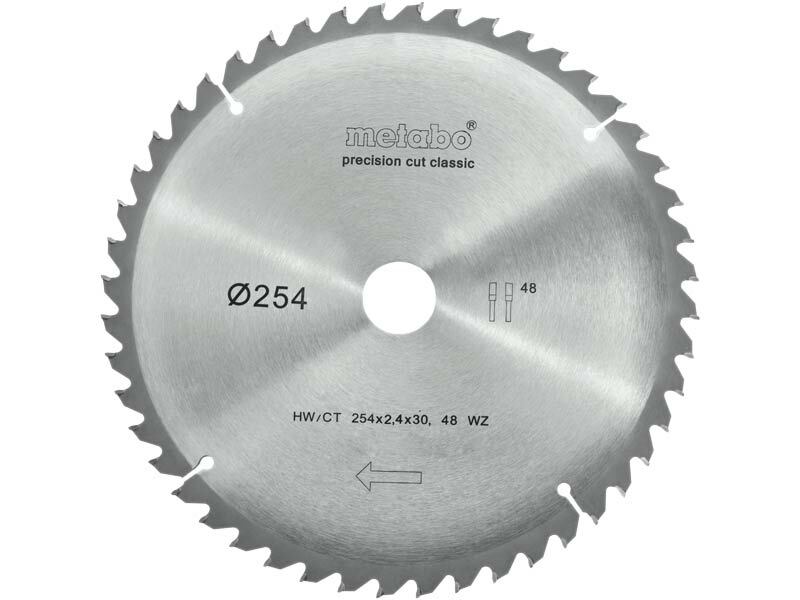 For a limited time you will recieve two free Metabo Circular Saw Blades when you purchase this saw. Compact light weight, suitable also for one-handed transport. Easy transport thanks to ergonomically-designed handles and saw head lock. Robust die-cast aluminium design for highest demands. Effective dust extraction via integrated dust scoop. Infinitely extendable table width extension, removable to put long panels, slabs etc. underneath. Bright LED work light for illumination of the cutting line (mains powered, no batteries required). High sliding rear fence profiles for safe sawing. Saw head can be inclined to the left, with additional angle range for undercuts. All scales and operating elements are visible from the working position and can be operated intuitively.